Just dashing off a quick blog to say I’ve started. I’m looking at one of two still life drawings and starting with man-made objects. Yesterday I had a collection of a wine bottle, glass, cheese, knife, bread bin. 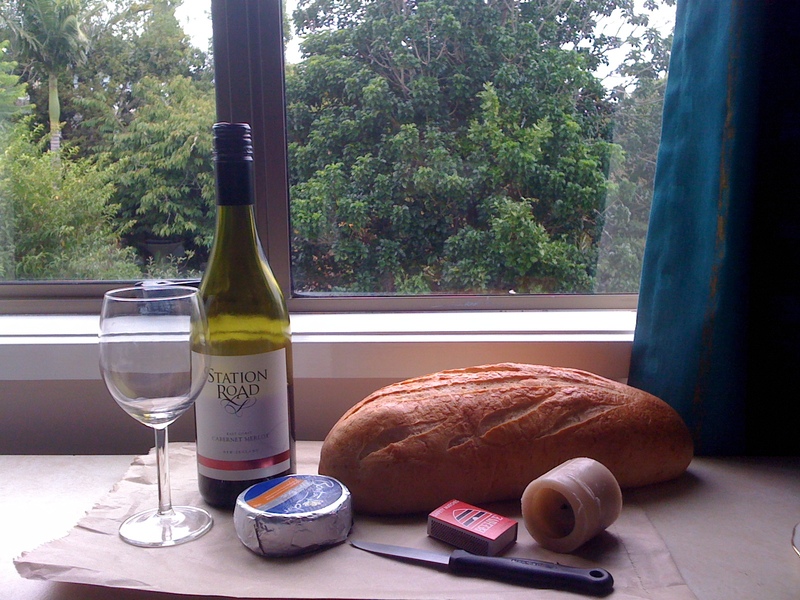 Today I have modified that to wine bottle, glass, cheese, knife and bread. I thought tomatoes would look lovely in front of the bread till I remembered they are natural and not man-made! 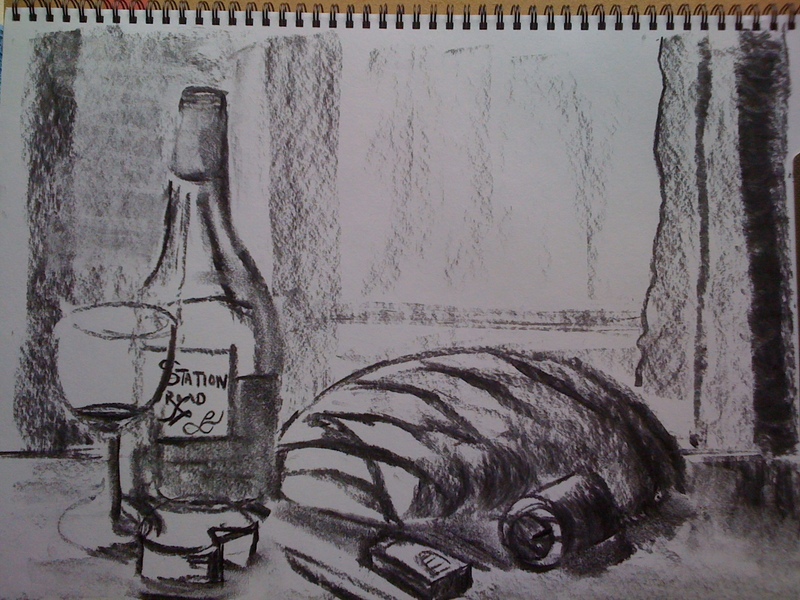 The bread board offered a great shadow yesterday from the bottle and glass, but I felt it gave too many directional lines and perspective issues. The window and curtain is much more interesting, I think. Closing all the doors and other curtains brings the light in from behind the objects. I think I’m happy with that at present. Still Life – I’ve moved the cheese!